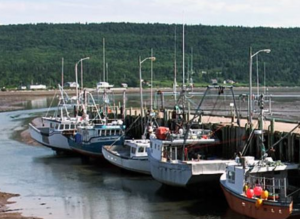 Cumberland County, Nova Scotia, occupies 1,650 square miles on the northwestern part of the province. It is bounded on its northeastern coast by the Northumberland Strait, and its southwestern peninsula juts into the Bay of Fundy. It was founded in 1759, and named for the third son of King George II, William Augustus, Duke of Cumberland. 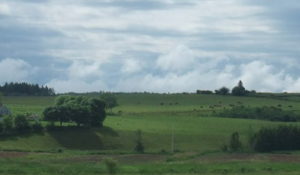 The county is rich in natural resources, and has a long industrial and agricultural heritage. 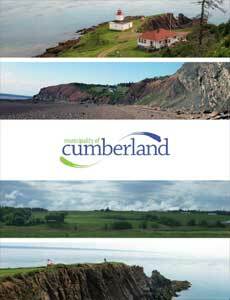 The Municipality of Cumberland is an administrative entity composed of most of the county, minus the incorporated towns of Amherst, Oxford, and Parrsboro. 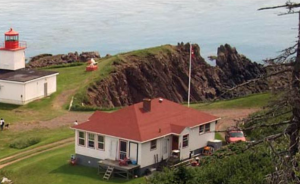 However, it does include the Village of Pugwash, and recently, the Town of Springhill, which filed for dissolution and was incorporated into the municipality this past April. Pugwash is a small fishing village of less than a thousand souls, situated where the Pugwash River flows into the Northumberland Strait. It became world famous over a half century ago when it was the site of an international conference of scientists and scholars from both sides of the Iron Curtain, who came together to discuss the threat of nuclear weapons. The 1957 symposium was hosted by Pugwash’s native son, steel magnate, Cyrus Eaton at a lodge owned by the Pugwash Park Commission. The building, a former bed and breakfast, later became known as “Thinkers Lodge” and, today, is a great source of pride to the local residents. It was named a National Historic Site in 2008, by the government of Canada. When finished, the Pugwash Water Project will be important, primarily, to the people of Pugwash. The work of the Cumberland Energy Authority, however, may well be important to the whole world. Yet, both projects represent the best in holistic, science-based thinking by a governmental jurisdiction – one that thinks globally, while acting locally – just as the participants did in Thinkers Lodge, all those years ago. Waugh-Cress discusses the first project on the list: “The Pugwash Water Project has been in the works for quite a while. In 2012, CBCL, an engineering firm in Atlantic Canada, conducted a sampling of 10 percent of the residential wells in the village of Pugwash and the surrounding area. It was found that, of those wells tested, 80 percent were above the aesthetic criteria for things like salt, suspended solids, hardness, iron, and manganese. Thirty percent of those wells were above Canadian drinking water guidelines for arsenic and some for uranium and selenium. So, from those well samples, we identified a very serious health risk for the people in the community. Some things were easy to deal with – if the water was salty, you could spit it out, but things like arsenic and uranium are tasteless and odorless, so you could think that you had perfectly good water for years and still be drinking very dangerous chemicals.” Waugh-Cress stresses that these chemicals in the well water were not industrial run-offs that had gotten into the underground supply, but were rather natural to the geography of the area. After determining that many of the area’s residents were drinking tainted water, and that there was a good source of clean water not too far away, the municipality’s next task was figuring out how to get the water to the residents. “It turns out that finding the water and planning for all this was the easy part. Now we had to build the well-field infrastructure, the water treatment plant, the storage reservoirs, the transmission lines, and the distribution mains throughout town,” says Waugh-Cress. Recently, the Municipality of the County of Cumberland, and provincial and federal officials announced that $14.9 million was being set aside for the project, which will require about 24 kilometers of pipe for distribution and transmission mains. So, this past month, the municipality awarded a preliminary engineering design contract to WSP Canada, Inc., a major design and consulting firm, and Waugh-Cress reports that more contracts will be awarded sometime in October or November. “At that point, we’ll be very quickly awarding the detailed and final design, with the intention of going to tender in the early spring of 2016. 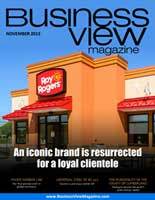 The water should be in place by the last quarter of 2017,” he says. Obviously, that ethos has found a welcome place in the governmental offices of the Municipality of Cumberland as its official seek to renew and revive its historic identity by exploring new energy technologies, while also responding to the current needs and desires of its people. And Rennie Bugley, for one, is looking toward the future with enthusiasm. “We want to be the municipality on the planet that produces more green energy per capita than anywhere else. So we’ve got some really lofty goals,” he says. Lofty? Perhaps. Achievable? Why not?